At the conclusion of the magnificent finale of Miss Bolivia 2017, held on 1st July 2017, Yasmin Pinto Solar was crowned as the Miss Mundo Bolivia 2017. Yasmin succeeds Miss World Bolivia 2016 Leyda Suarez Aldana, and will now represent Bolivia at the Miss World 2017 pageant to be held later this year in China. Yasmin won the regional title of Miss Santa Cruz 2017 and earned the right to compete at the Miss Bolivia 2017 pageant. 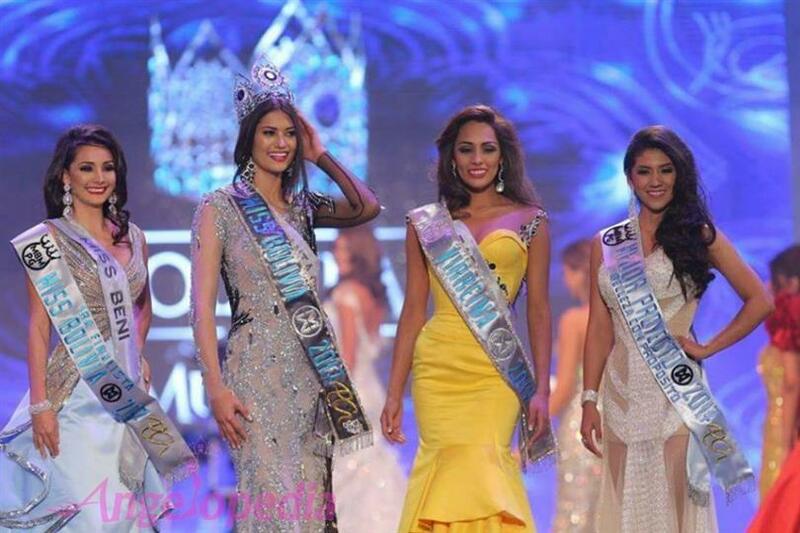 At the same pageant, Gabriela Espindola Baldiviezo was crowned Virreina Miss Bolivia 2017, Argene Coelho Cuellar was adjudged the first runner-up. Griselda Zegarra Malaga was awarded the Beauty with a Purpose Award. Gleisy Noguer Hassen was crowned as Miss Universe Bolivia 2017 and will represent Bolivia at Miss Universe 2017 pageant. Carla Maldonado Simoni was crowned as Miss Bolivia International 2017 and will represent Bolivia at Miss International 2017, Giancarla Fernández Ferrufino was crowned as Miss Earth Bolivia 2017 and will represent Bolivia at Miss Earth 2017, and Nimeyra Flores Hurtado was crowned as Miss Continentes Unidos Bolivia 2017 and will represent Bolivia at Miss United Continents 2017. Yasmin defeated 23 other contestants to clinch the coveted title. All the finalists were given the opportunity to prepare their individual Beauty with a Purpose projects, and based on the projects and the performances the winners for the night were announced. Bolivia has never won a Miss World title so far. Yasmin looks like a strong bet for the Miss World title this year. Do you think Yasmin can be the next Miss World?